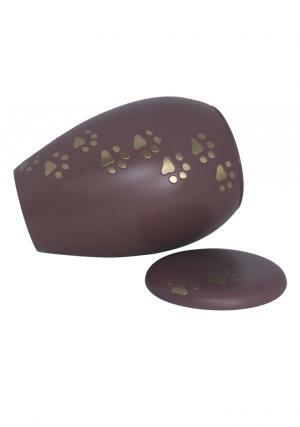 Flat Top Gold Paw Prints Pink Pet ashes Urn, it is made of solid brass with pink enamel finish. 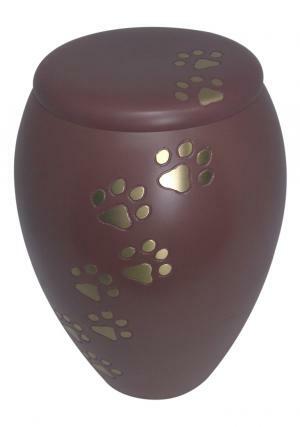 The smoothness on the urn is developed using sand casting method and decorated pet paw print engravings in gold. 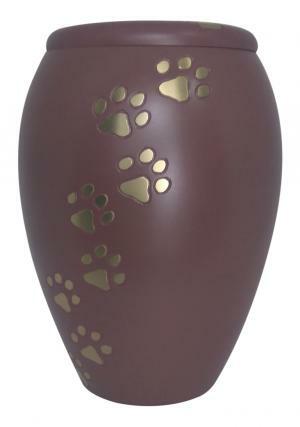 The top lid of the paw pet urn is flat with similar finish of that present on the urn with walking pet paw prints in Gold. The lid on the urn acts as an easy closure & open from urn for insertion of ashes and secured way of usage. 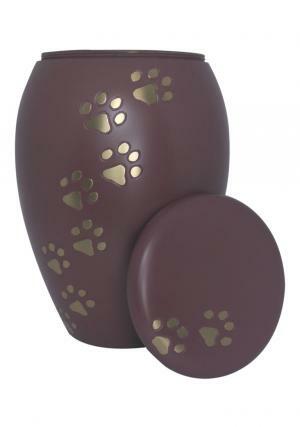 The Dimensions of Gold Paw Prints Pink Pet Urns stand 7.8 inch tall, 5.71 inch width and weighs 1.52 kg. The ashes space volume present in the pet urn is 25 cubic inch.